Over the past 20 years, the European Union has put in place some of the highest common asylum standards in the world. And in the past two years, European migration policy has advanced in leaps and bounds with the European Agenda on Migration proposed by the Juncker Commission in May 2015. Progressively, a more united approach to dealing with migration is emerging. But there is still work to be done to build up a coherent and comprehensive way of both reaping the benefits and addressing the challenges deriving from migration in the long term. The EU Member States agreed in June 2016 to establish a new European Border and Coast Guard to reinforce the management and security of the EU’s common external borders. Currently the European Border and Coast Guard has around 1,500 officers deployed to support Member States at the external borders, complementing the existing national capacities of Member States of over 100,000 border guards. 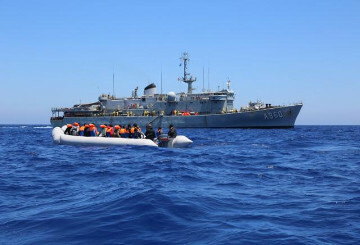 Europol has opened a new European Migrant Smuggling Centre to support EU Member States in dismantling criminal networks involved in organised migrant smuggling. The EU is working on enhancing relations with five key countries of origin and transit in Africa (Ethiopia, Mali, Niger, Nigeria, and Senegal). The Partnership Framework and the Valletta Action Plan have allowed us to initiate long-term cooperation with a number of partner countries and both are already yielding results. Since the EU-Turkey Statement was agreed in March 2016, the daily crossing from Turkey to Greece went down from 10,000 in a single day in October 2015 to an average of around 80 a day. Overall, arrivals to the Greek islands from Turkey have dropped by 97%. Since the onset of the refugee crisis, over 900,000 items such as blankets, mattresses, beds and tents as well as teams and equipment, shelter and medical supplies have been channelled through the EU Civil Protection Mechanism to the affected countries. A new €8.5 million project financed by the EU and run by UNICEF will support more than 6,000 refugee and migrant children across Greece, including unaccompanied minors, who need dedicated care. €3 billion to help Syrian refugees in Turkey - the EU’s largest-ever humanitarian aid programme will help 1 million of the most vulnerable refugees in Turkey. EU Syria trust fund - The European Union is the leading donor in the international response to the Syrian crisis with over €9.4 billion in humanitarian and development assistance already allocated. Investing in the education of Syrian refugee children is one of the main priorities of our actions. Funding for Africa - The European Fund for Sustainable Development is expected to trigger additional public and private investment volumes. With an input of €4.1 billion, the EU will mobilise total investments of up to €44 billion, or even €88 billion if Member States contribute as well.